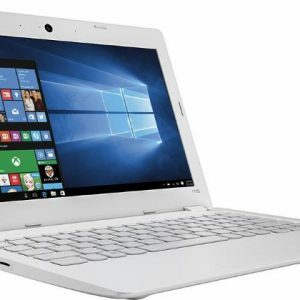 The Lenovo 100S-14IBR 80R900FYUS is one of the 14″ laptop models with crippled specs but also a very low price and light weight. 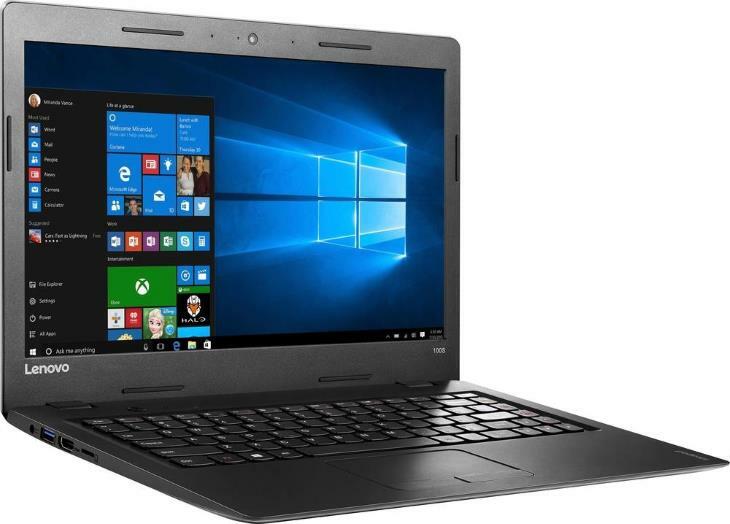 Usually selling for $200 or less, the 3.1-pound Lenovo 100S-14IBR 80R900FYUS from the consumer-oriented IdeaPad series provides basic computing performance, a usual budget-class 1366×768 TN display, plastic chassis, and Windows 10 Home operating system. It also includes a free 1-year subscription of Microsoft’s Office 365 Personal productivity software suite as an extra feature. 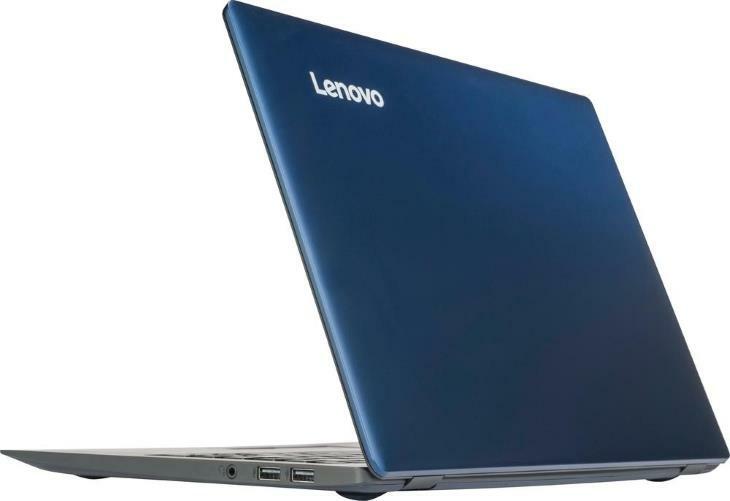 Lenovo 100S-14IBR 80R900FYUS configuration from the popular 100s series is characterized by the Intel Celeron N3060 dual-core processor, 2GB of system memory, 32GB of eMMC Flash memory-based storage, and blue display lid. 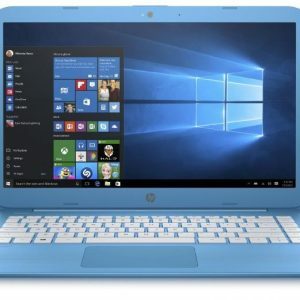 The internal components can serve well only for the basic computing tasks, like web surfing, writing e-mails, work in Microsoft Office documents, or media playback. Multitasking capability is quite limited, since 2GB RAM is on the small side. 32GB of eMMC storage lacks capacity of standard 128GB or 256GB solid state drives or 500GB and 1TB (1,000GB) hard drives. 32GB is sufficient for normal functioning of Windows 10, but free space for users’ files of only 15GB doesn’t leave much room for larger files like movies or music libraries. Thankfully, storage is expandable via a built-in microSD memory card slot. According to Lenovo, the IdeaPad 100S-14IBR 80R900FYUS has a battery life of “up to 7 hours”. The rest of the specs sheet doesn’t bring any big surprises nor disappointments. The laptop sports a full-size keyboard without backlight, a multi-touch trackpad with mechanical left and right click buttons, stereo speakers, a web camera, 802.11AC Wi-Fi and Bluetooth wireless connections, one USB 3.0 and two USB 2.0 ports, HDMI video connector, a combo mic / headphones port, and the already mentioned microSD slot. Here's the specs sheet of the Lenovo 100S-14IBR 80R900FYUS. For comparison against other laptops, use the "Compare Specs" button. 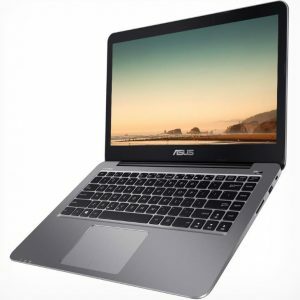 Below you can read and submit user reviews, comments, questions, and answers regarding the laptop. Thank you for your contribution. There are no reviews, comments, or questions yet. Be the first. *Laptop prices listed on Laptoping are approximate. They vary depending on a store, region, and other factors.